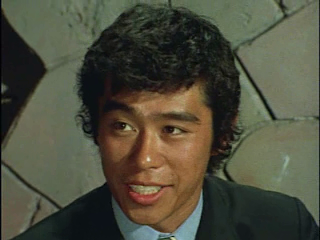 Up very soon this week is Skyrider 30, but before that I wanted to let you know that yes... we are back. And also give you some updates on some stuff. The big news is Stronger. We are officially taking on Stronger as a full-time project, due to some recent shakeups over at Midnight Crew. I don't know their official status, so please direct all questions over to them if you have any. What I do know is Stronger, and I know that the same team that's been working on it for the past few episodes (Sky79, HeatMetal, Castiel, and me) will continue with that project as planned. We're also going to be re-releasing the first 20 or so episodes with polished up scripts, along with bringing them up to the quality of the most recent episodes. Smaller, less positive news... that second translator we were test driving still hasn't quite worked out yet. We'll definitely let you know as soon as we do. Until then, I'm sure there will be some developments on Super-1, so don't count him out yet! And to end on a SLIGHTLY more positive note, we're currently working on getting some new raws for Hibiki. So expect that long-dormant project to get off the ground again in the relatively near future! Now for the boring stuff. So as you know, KITsubs is a relatively small team. Summer wasn't really a productive time for us, but that's due to our own personal schedules. Still, I'm usually around to stagger releases, work on backlog, get some scripts out for checks, QC, etc... But this summer I took a particularly long (and relaxing) vacation before coming home to settle in to a new job. So the vacation lasted a little longer than I initially anticipated. I also had a birthday in there somewhere (shhh, it's a secret!) so things were much more hectic than I anticipated for a while. But I'm back now, and the rest of the team has been for a while now. In regards to that new job, that might mean that our release day will change again soon. For now, I want to say Friday nights, but don't hold me to that. We're aiming for weekly releases as usual, and for now that's the day that works best for me. But again, we'll keep you posted on Facebook and Twitter about any changes. You can also follow my personal Tumblr, where I post lots of progress info on KITsubs releated stuff, as well as silly screen shots and the usual Tumblr junk. JeegBees @ Tumblr. And that's that. Sorry for the long update, but I like to keep things as transparant as possible here. I know a long hiatus can be scary with sub groups, even when they promise that they're coming back (I can think of one in particular...) so I figured the more information, the better. And thanks for reading! We'll see you guys soon with some new releases. "We are officially taking on Stronger as a full-time project...."
Out of curiosity, does this mean you're no longer going to be working on the original Kamen Rider series? If so, do you know if anyone else is? Thanks for your time and for the great fansubbing. Now that would be silly... why would we drop our beloved Rider 1, when we have so many episodes in the works already! No, we're continuing with all of our series as usual. We've been helping with Stronger for a while now. All that's really happening is that it's going to get released through KITsubs instead of Midnight Crew Subs. The same members from Midnight Crew will be assisting with the scripts. Double Release: Kamen Rider Stronger 29 and 30! Kamen Rider Skyrider episode 30!